What Are the Different Calendar Sizes? The nice thing about calendars is that you can create one in a size that’s right for your requirements. Depending on what kind of calendar you select, you can even set a custom size by specifying the width and height that you want. 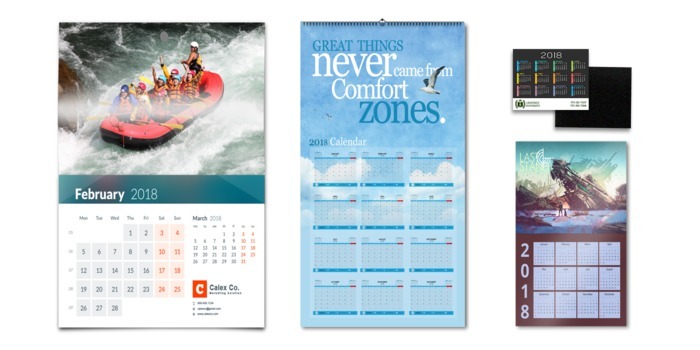 Wall calendars, as the name implies, are designed to hung on a wall. However, a 5.5” x 8.5” calendar would fit in nicely in any office cubicle or home office. Actually, the same can be said for the rest of the wall calendar sizes mentioned. While 8.5” x 11” poster calendars may be too small, a 27” x 39” calendar would be big enough to be hung in a shared workspace or household for everyone to use. These larger sizes, depending on your design, are big enough so that they can be viewed from a distance. Magnetic calendars, for example, should be small enough so they’re not a nuisance when placed on a refrigerator but big enough so that the details still stand out from a distance. The same thing is true for wall and poster calendars. You’ll have to take into consideration the amount of space they will take up. By choosing the right size, users will want to put your calendars on display for a full year. Smaller calendars are expected to cost you less but having large calendars will undoubtedly advertise your brand in a larger light. While calendar size is just one of many factors that you should take into consideration, it certainly is an important one. 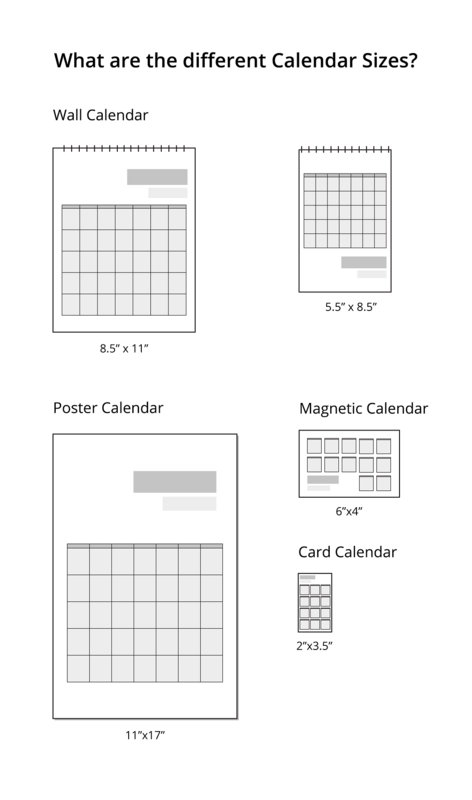 Wall, poster, and magnetic calendars are often purchased in bulk. Most orders are for 500 and 1,000 pieces. Card calendars are purchased in lower quantities with 25, 100, and 250 pieces being the most popular quantity options.